vADASdeveloper provides an infrastructure for developing algorithms for advanced driver assistance systems and automated driving. The tool reduces your workload in developing sensor data fusion applications. 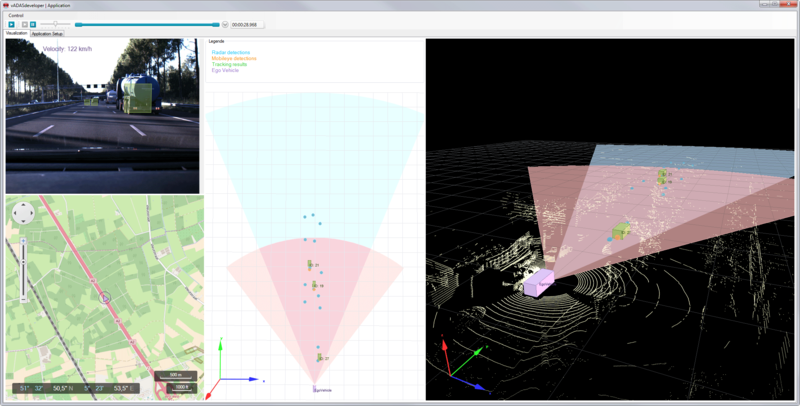 The runtime environment acquires sensor data, logs it and can replay the data for stimulation. Here the sensor data and the results of algorithms are clearly displayed in a bird’s eye perspective and in the video image.